effective way to restore a smile. Although there have been many improvements in dental care over the last several years, millions of Americans suffer tooth loss, mostly due to tooth decay, periodontal disease, or injury. Up until recently, the only treatments available for anyone with missing teeth were bridges and dentures. Now dental implants are the most desired option for missing teeth or loose dentures. Dental Implants do not require reducing your other teeth and do not have to be anchored to other teeth like bridges require. Since nearby teeth are not altered to support the dental implant, more of your own teeth are left intact, which improves long-term oral health. Individual implants allow for easier access for flossing between your teeth which helps to maintain good oral hygiene. ARE DENTAL IMPLANTS RIGHT FOR YOU? CLICK HERE TO FIND OUT. Dental implants are a titanium post (like a tooth root) that is surgically positioned into the jawbone beneath the gum line that allows us to mount replacement teeth into that area. An implant doesn’t come loose like dentures. Implants provide a strong foundation for fixed (permanent) or removable replacement teeth that are made to match our natural teeth. Improved appearance & self-esteem: Dental implants look and feel like your own teeth and help you feel better about yourself. Improved speech: Dentures can slip within the mouth causing you to mumble or slur your words. Improved comfort. 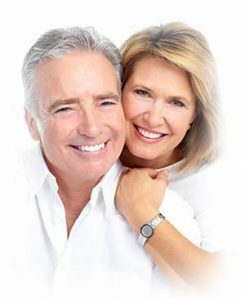 Implants eliminate the discomfort of removable dentures. Easier eating: Loose dentures can make chewing very difficult and embarrassing. Dental implants function like your own teeth, allowing you to eat your favorite foods. Durability: Implants are very durable and will last for many years, with proper care your implants can last a lifetime. Convenience: Dental implants eliminate the embarrassing inconvenience of removing dentures, as well as the need for messy adhesives to keep them in place. If you are considering dental implants, you must have healthy gums and adequate bone to support the implant. 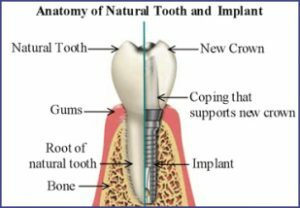 If your bone is too thin or soft or unable to support an implant, you may require a bone graft. 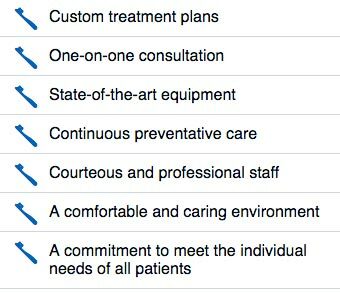 Call us for a private consultation!